RAMPS RAMPS RAMPS! Deploy them as you go! Somehow I neglected to include the updated ini file with 1.1.3. It is now included in 1.1.4. My apologies for any confusion or frustration arising from this. I must have been up too late coding. Thank you, darknavi, for pointing this out! 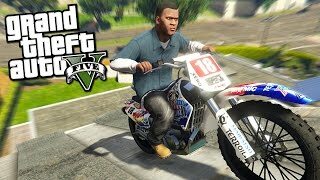 Added gravity cycling so you can get back to normal GTA gravity if desired. Each press of the G button cycles through: regular->heavy->low. Removed controller vehicle spawner option as it was causing odd behavior. Fixed "show controls" to show user-set controls where applicable. Removed jump kudos text as it was behaving unpredictably and was rather unnecessary. 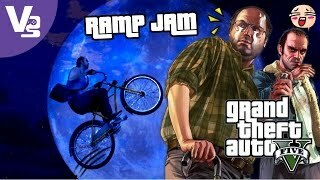 Updating: Please make sure you replace both the RampJam.ini and RampJam.dll files if you already have the mod installed. Please make sure you have the latest versions of the following installed before running this mod. Also, since this mod employs the use of a lot of input keys, you might want to disable other mods. Just copy the contents of this zip (sans README) to your GTAV scripts directory. If it doesn't exist yet, just create it and drop these files in it. 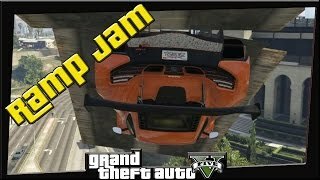 Typically, the path to this is: ".\SteamLibrary\steamapps\common\Grand Theft Auto V\scripts\"
This update is an attempt to help those having problems running the mod and varies only slightly in gameplay from the previous version. I have removed a Microsoft API reference that I believe was causing the mod to fail to start. If the problem persists for you, then you'll have to find the problem on your own from this point on. Make certain that you have the REQUIREMENTS (see below) installed. Fresh install: see INSTALLATION below. 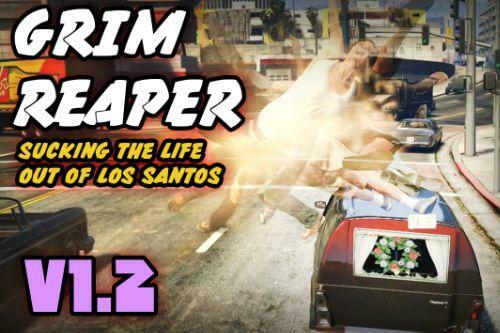 To update, copy this RampJam.dll file over the one in your GTA\scripts folder. You can keep your 1.1.1 ini, if you want, or use the new one. NOTE: For those NOT having problems with the mod, you do not need this update, but you can install it if you prefer. No changes to dll. Identified issue with ini file KEYS parameter "CONTROLLER_DEPLOY" value preventing player's changing of control. 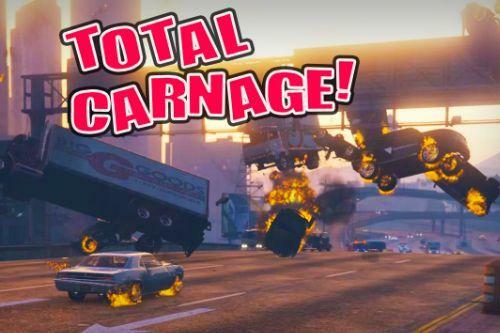 Players can resolve this issue by simply making the following change to their v1.1 ini file: Change "GTA.Controller.VehicleDuck" to "VehicleDuck" You can also use: VehicleAim (Lbumper), VehicleHorn (Lstick), among others. 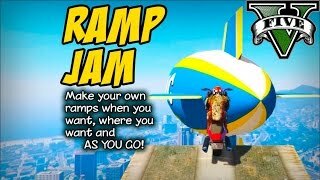 Hey GTA freaks and freakettes the new version of Ramp Jam is ready to rock! Download this new version and replace your existing files. 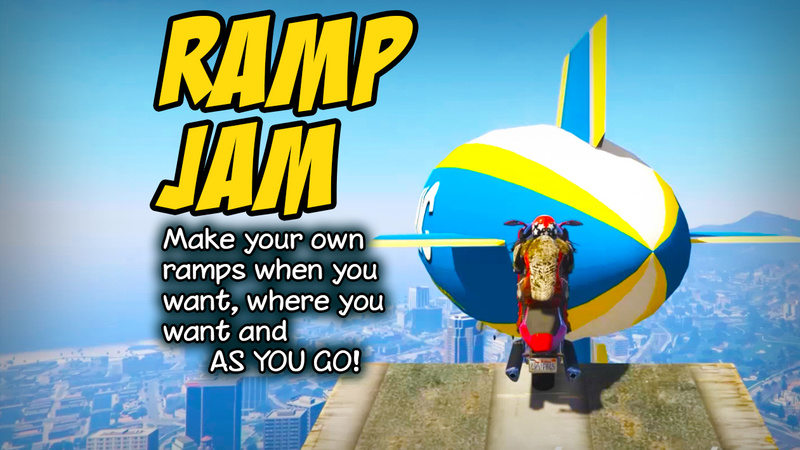 Note: Ramp Jam now requires NativeUI be installed, so make sure you add it if you haven't already (link below). 1. Added controller support. 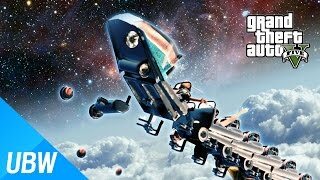 Press "duck" (default is R-Bumper) on your controller to deploy ramps. This option is configurable in the ini. 2. Added ramp size option. Use quick keys for different ramp sizes. 3. Added "Five-wide" ramps, for slamming down on roads when being chased, etc. 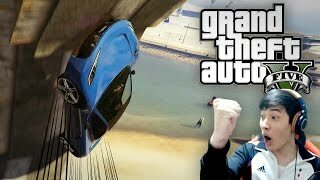 Great for making cops fly off the road! These ONLY spawn on the ground. 4. Added "Five inclined" ramps with extra speed boost for ULTRA-ramping. 4. 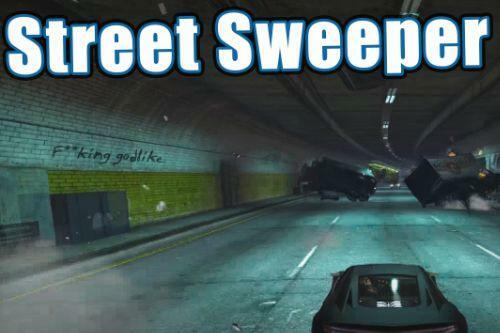 Improved ramp deployment mechanics, however, when your vehicle is at an angle, odd things will happen. Still working on this. 5. Changed random set of vehicles/characters: Removed player ped skin change. Added a couple of vehicles. 6. Added checkpoint race mode. 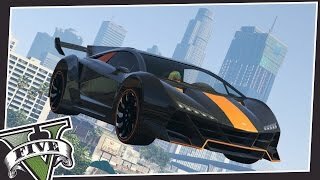 Press 8 while mod is enabled to race checkpoints! You should be close to downtown when you start. Your time is tracked, but at this point not saved. If you like this addition, please let me know in the comments and I'll elaborate on it further. NOTES: Keys 1-7 won't work unless you're in a vehicle. Not all keys are configurable in the ini. I will add them in a future update. 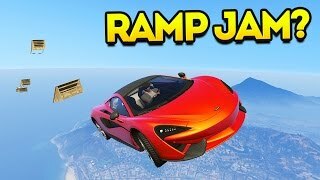 Ramp Jam allows you to instantly deploy a ramp directly in front of your vehicle at any time so that you may jump over other vehicles, objects, people, etc. 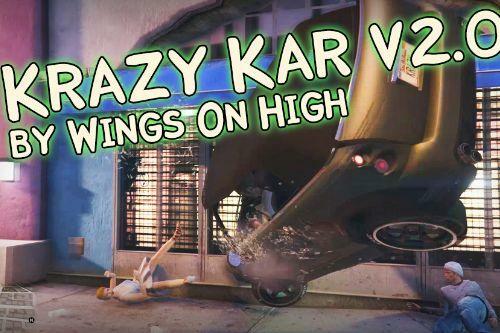 ; land on other objects such as people or vehicles; Ramp up to the tops of buildings and other otherwise unaccessible areas of the map. And so much more! 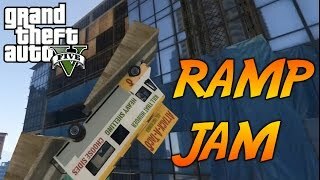 Ramp Jam employs an altered gravity model when your vehicle is in the air so that it will fly farther than with normal GTA gravity. This also allows for more precise control of the vehicle while in the air, giving the driver more time to anticipate the target landing point. This makes determining where to deploy the next ramp more effective, and fun. You can toggle to a more realistic weighted gravity, too, which changes the whole dynamic of ramping. Toggle between ramp configurations using 5,6,7. Spawned ramps are marked no longer needed immediately after deployment. This way they will not consume any memory and will disappear almost immediately when driving, but will stay as long as you are either interacting with them or viewing them. This way you can deploy as many of them as you want without worrying about crashing the game due to too many spawned objects. 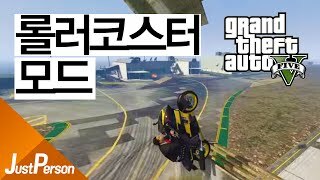 Motorcycles are recommended for the most immersive ramping-around experience. 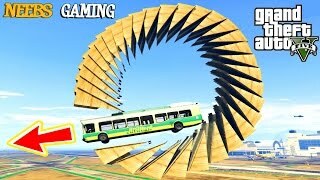 Supercars are recommended for loop-the-loops and other high-performance stunts. 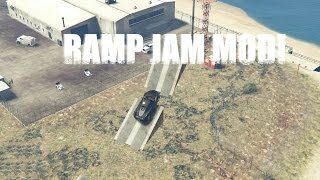 Ramp Jam works great with almost all vehicles. Your furthest single jump distance will be stored in the ini. Thanks for downloading this mod. 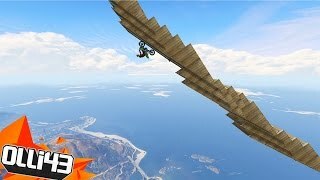 If you like it, please give it a like on gta5-mods.com. If you have ideas or suggestions, please add them to the comments there. @EDraven2010 The combo is always ALT plus the other key. So, ALT+N, ALT+O, etc. Thus, the ini only needs to contain the alpha character. 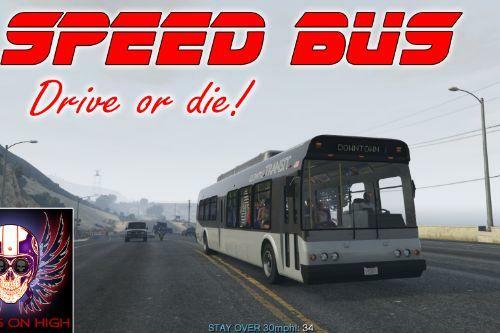 @mGAMERS That's not a question, it's a statement. I don't understand what you want. Did you read the INSTALLATION NOTES on the left of this page? 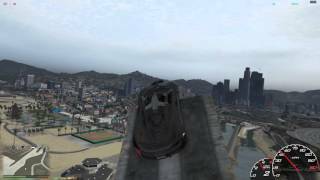 @WingsOnHigh do i put scripthookvdotnet , scripthookv , your mod into gta 5 scripts directory? Does not work for me i put it in my scripts folder i have scripthookdot net and scriptHookV in my main does not work can you help? i cant find my scripts can you maybe help? @Simply Created HOW DO I DISABLE IT!?!?!?!?!?!?! 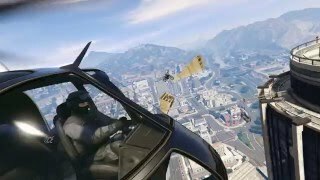 @WingsOnHigh When i join GTA V with this mod and i press ALT-N and E or R or the horn by Controller nothing appen, can u help me?